Printed using 3-D printing technology, "Artifact" (2014) is a 'replica’ of a volume by Edmund C. Berkeley, an American computer scientist who wrote one of the earliest popular publications on computers in 1949, entitled "Giant Brains or Machines That Think." 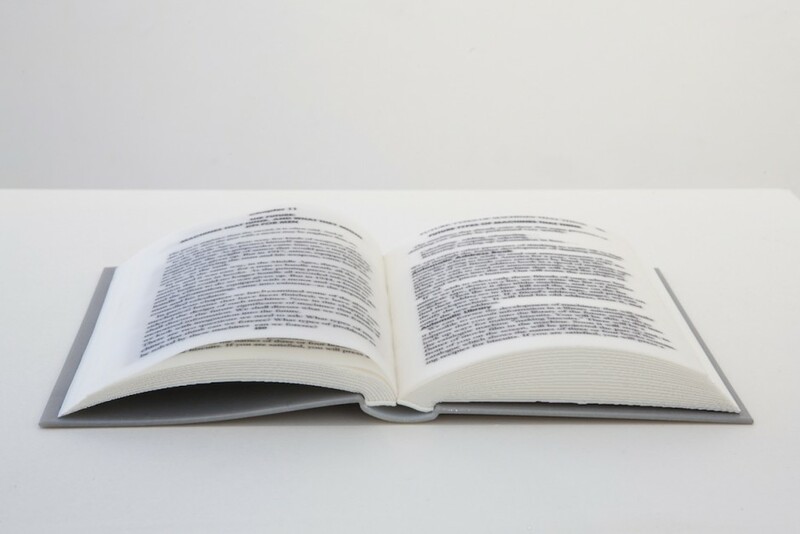 Tapping into our anxieties surrounding new technologies and digital media, the book is redundant: the pages are printed on the surface, but do not turn; the book is open, but cannot close. It is unreadable, existing solely as an art object.